Ever wonder how far Earth is from Mars … in pixels? That’s not too bad. Just catch up on all of your favorite TV shows! The long journey to Mars has yet to be completed by a living creature from planet Earth, and it will be a while until that does happen (most people estimate 2030-2050). Whether or not humans have reached the distant neighbor, we know a ton about the little red planet. Some enterprising star science folk – otherwise known as Astronomers (not the same thing as Astrology for those that like to read their Horoscope), have put together an interesting web-based presentation that’s both interactive and true to scale. They start by making Earth a modest 100px in diameter, and from there they take you on an informative, delightful trip through space. And don’t let Jared Leto fool you, it’s quite a long ride from Earth to Mars. The creators of this experience, David Paliwoda and Jesse Williams, find that if the Earth were 100 pixels wide, the Moon would be 3000 pixels away. 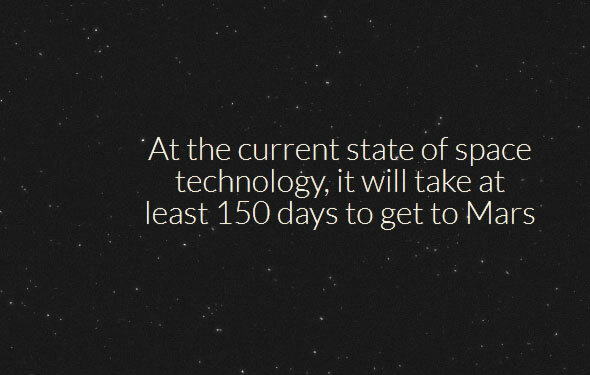 And on that same scale, Mars would be an epic 428,000 pixels away! Even in the demonstration where your browser-spaceship travels at 7,000 pixels a second, it takes a tremendous amount of time! Want to see more? Take a look and have fun at How Far is it to Mars?, and then try it out on one of your mobile devices for extra fun! https://electrokami.com/wp-content/uploads/2018/01/electrokami.png 0 0 Electro Kami Staff https://electrokami.com/wp-content/uploads/2018/01/electrokami.png Electro Kami Staff2013-04-07 10:39:262018-08-26 21:18:27Ever wonder how far Earth is from Mars ... in pixels? Unity is making more moves: PS3/Vita/PS4 optimized compatibility, and streamlined Facebook games with a new SDK!